If you really want to make a good quality coffee, then a manual burr grinder is the right choice to make. They are available in two types “the conical burr” and “the flat base burr”, they provide every coffee lover the supreme method in making incredible tasting coffee. They work by milling the coffee beans between two steel burrs which can be adjusted manually to a desirable height to fit any coffee recipe you want to prepare. The distinction between the flat base burr and the conical burr apart from their shape is that the conical has the capacity to rotate at much slower speed. This is important, not just because the grinder will not be loud, but because the possibility of heat-build-up is reduced drastically. When a grinder rotates faster, more friction is produced; this in turn indicates that more heat that can be passed directly to the coffee grounds. Burr grinders grind coffee beans between two disks or conical milling tools and they are suitable for any kind of coffee maker. They can be purchase almost anywhere, so if you need a burr grinder, you should be able to get one that fits your budget. Purchasing a grinder that is consistent in dimension with the volume of coffee you consume could possibly help you save money. It is great to have a perfect cup of coffee in the morning; grinding your own coffee beans for your early morning brew can help you achieve that. Just be sure you purchase the suitable coffee grinder for your coffee maker and your budget. Burr coffee grinders are the most common type of coffee grinder. When compared with the other types of grinder like the blade coffee grinder, the Burr grinder has proven to be one of the most effective manual coffee grinder in the world with its user friendly set up and noiseless acoustics. Conical burr manual coffee grinders are noiseless devices which make use of burrs that are created from steel that allow them grind while rotating quite slowly and gradually, thus this has little frictional heating of the coffee grounds. Wheel grinders; A wheel burr coffee grinder generates increased noise since the wheels rotate faster. They are generally less expensive compare to other grinders and are used more in domestic settings, but are much messier compared to conical burrs. some more tips on choosing a manual coffee grinder you will enjoy. 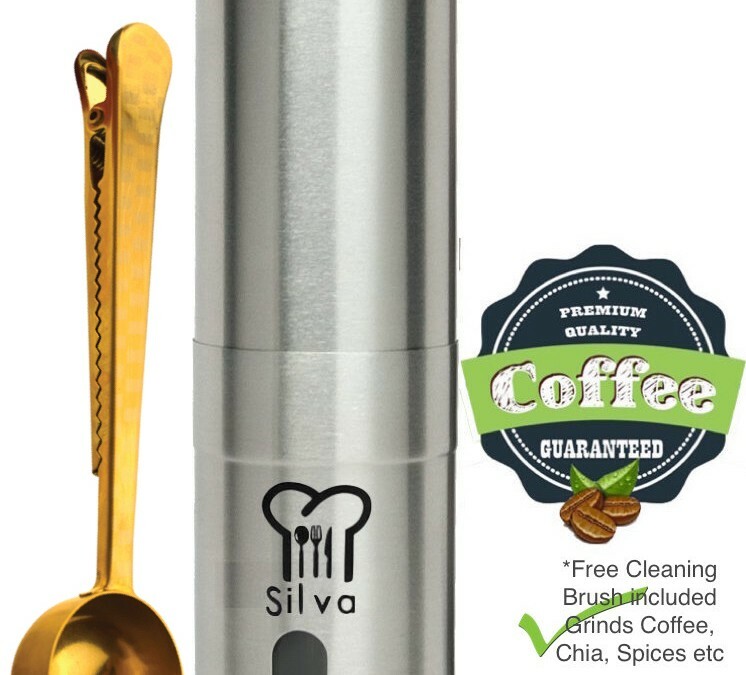 If you are looking for a perfect manual coffee grinder for your coffee beans, Silva Manual Coffee Grinder- Adjustable burr Herb and Spice Grinder mill is one of the best manual coffee grinders that can give you that great taste of coffee to start the day. You can now checkout with Amazon !